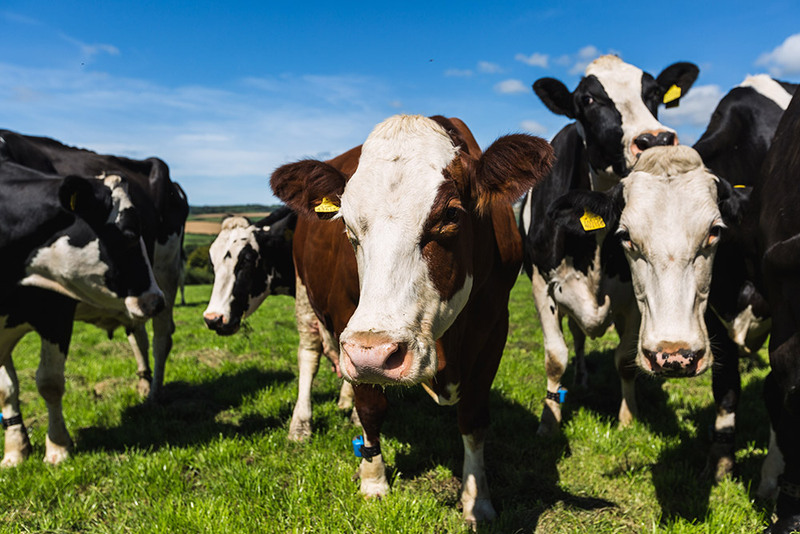 COWS ARE AT THE HEART OF EVERYTHING WE DO. We have been working with our farming families for years and we know each of them personally. Their skill, care and attention is vital in producing the best milk. And after all, that’s the first step in the journey for every single delicious dairy product we make. Our farmers are proud that they are part of the Trewithen Family. They know that we will buy every drop of milk they produce from their lovingly looked-after herds. Trewithen farmers are hand-picked for the caring and experienced way they manage their herds, their commitment to quality and – because we like them, too! We buy over 100,000 litres of milk each day from our farmers, 365 days a year. You can taste the care and commitment in every pint of our delicious milk and all our other lovely dairy products. Let us introduce you to Matt Rowe. Matt farms at Great Tredinnick Farm, at Two Watersfoot, in the Glynn Valley. His 14 year old son wrote a book about dairy farming and Dad Joe still works on the farm having been born in the farmhouse. 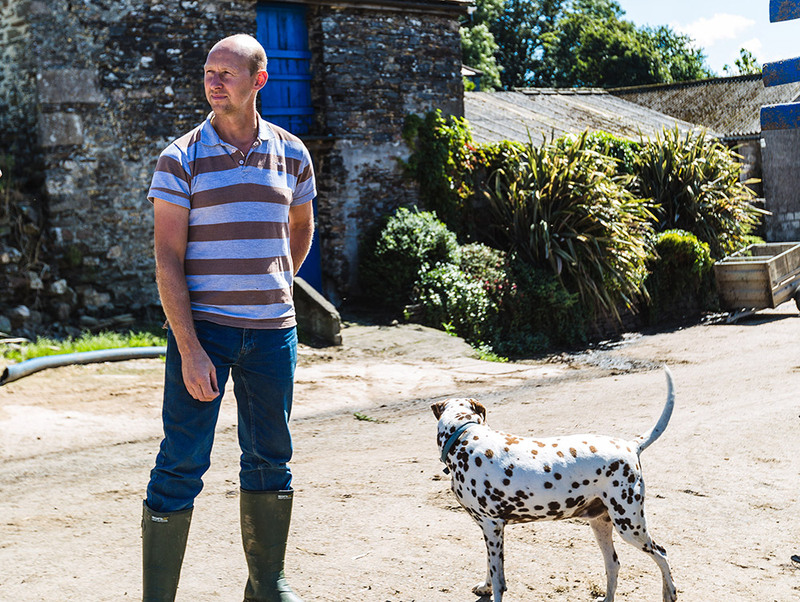 Matt won South West Farmer Of The Year in 2015. They are our closest neighbours, just across the other side of the Glynn Valley from Trewithen Dairy. 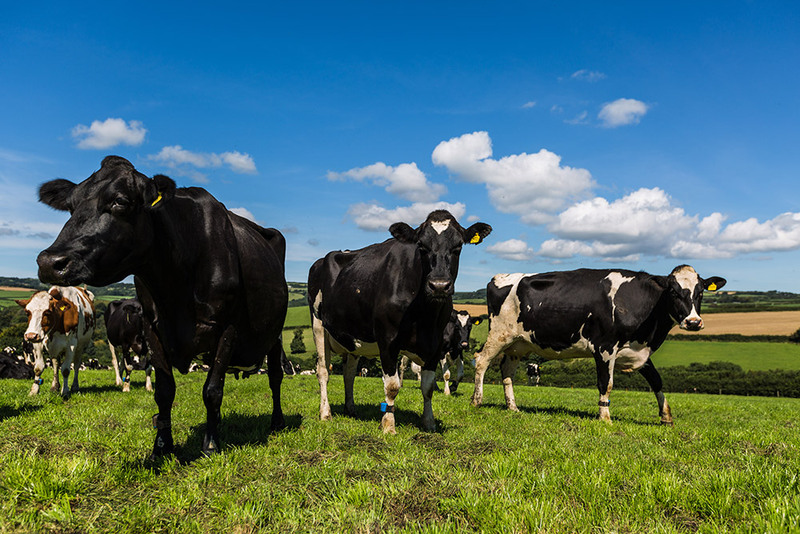 Our farmers’ herds of happy, healthy cows are all within 25 miles of Trewithen Dairy in the Glynn Valley and thrive in our mild Cornish climate. The cows have a supremely healthy and balanced diet. The principal forage is grass, which grows so abundantly in the mild Cornish climate. Most cows will eat grass most of the time, but as the season progresses, grass growth diminishes and our farmers’ cows are increasingly fed winter forages. These naturally include a good amount of grass silage and cereals, maize, beans and other proteins may also be mixed in. The exact mix is assessed and controlled by each individual farmer, with their care and expertise combining with their knowledge of their unique herd and local conditions. These naturally include a good amount of grass silage and cereals, beans, maize and other proteins may also be mixed in. The exact mix is assessed and controlled by each individual farmer, with their care and expertise combining with their knowledge of their unique herd and local conditions.